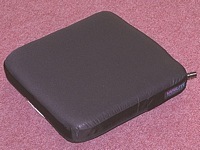 Listed here are a range of pressure relieving wheelchair cushions for children. They may be comprised of gel or foam or be air filled. Their covers may be waterproof or have a slip resistant base. 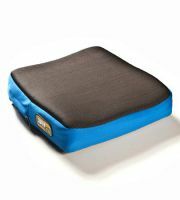 These cushions may also include postural supports, for example, pommels and thigh supports. 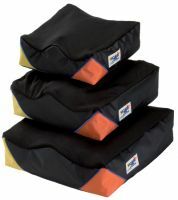 These cushions are designed to reduce pressure - they do not entirely relieve pressure. 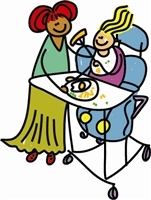 Therefore, to further reduce the risk of pressure areas developing, care should still be taken to ensure that children are repositioned in their wheelchair regularly and that appropriate moving and handling techniques are used. 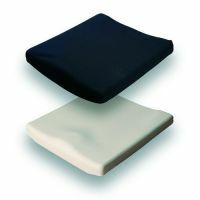 When considering a wheelchair cushion, a thorough assessment with an occupational therapist or physiotherapist is vital. 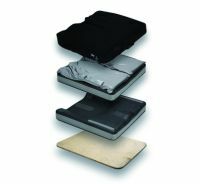 There will be individual factors that determine which cushion best suits your child's needs, and it is vital that your child's posture and position on the wheelchair cushion is professionally assessed. 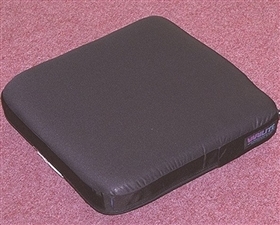 The pressure reducing cushions listed here may be able to be provided by the NHS wheelchair service, depending on their eligibility criteria.